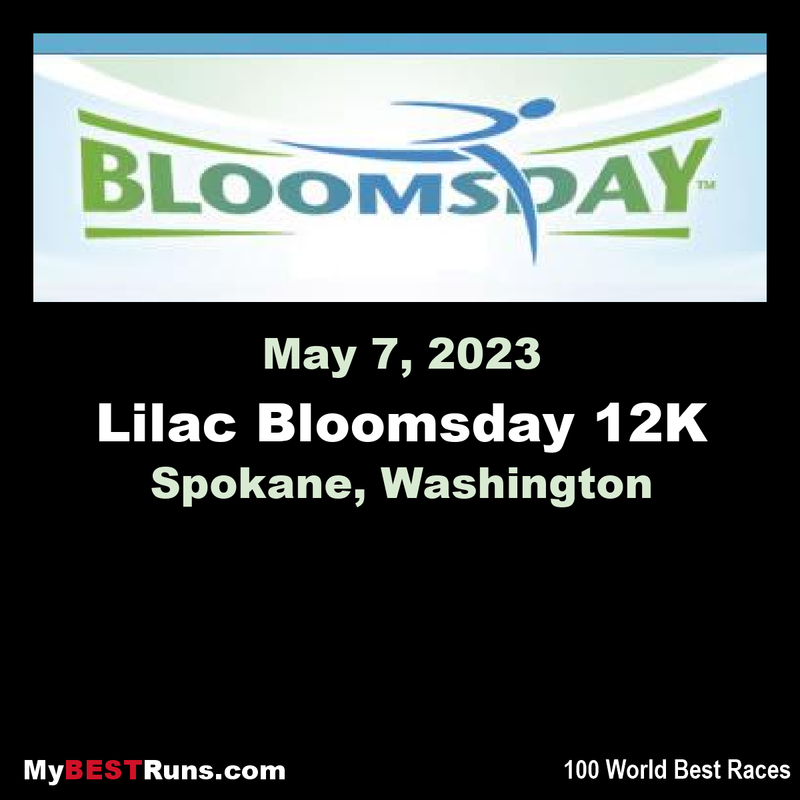 The Lilac Bloomsday Run was born during the running boom that swept the nation in the late 1970s. Local runner Don Kardong, who moved to Spokane in 1974, competed in several national class road races before and after his participation in the 1976 Olympic Marathon, and in the fall of 1976 he suggested to a local reporter that Spokane should have a downtown run of its own. The suggestion made its way into the newspaper's headlines. Spokane was enjoying renewed interest in its downtown area after hosting the 1974 World's Fair (Expo '74), and a fun run that took advantage of the newly renovated downtown and Riverfront Park seemed a natural fit. Spokane Mayor David Rodgers encouraged Kardong to pursue the idea, the local Jaycees adopted it as a project, and Medical Service Corporation (now Premera) joined as the event's major sponsor, supplying financial support and organizational expertise. At 1:30 p.m., on May 1, 1977, over a thousand runners participated in the inaugural Bloomsday Run, which was billed "Run With the Stars" in posters announcing the event. Olympic gold and silver medalist Frank Shorter crossed the line first, followed by Herm Atkins of Seattle and founder Kardong. The success of the first year's race led to an even greater turnout in 1978. Publicity generated by a sanctioning dispute with local AAU officials also helped the race expand to over 5,000 runners. By its second year, Bloomsday was already enormous by any standard, and a victory by Boston's Bill Rodgers helped spread the event's national reputation. In subsequent years the Bloomsday field continued to grow, reaching 57,300 in 1988 before leveling off for two years. In 1991, Bloomsday took another jump to 60,104, and in 1996 the event reached its all-time high of 61,298. During years of explosive growth, volunteers helped devise systems to deal with bottlenecks at registration, the finish area, T-shirt distribution, and throughout the process. Those systems have allowed Bloomsday's size to increase without compromising the experience: each runner receives a postcard with time, place and finish position; T-shirts are given only to finishers; and every finisher is listed in the Souvenir ResultsBooklet distributed on Tuesday following the race. Bloomsday volunteers pride themselves on producing a safe, exciting and enjoyable experience for all. That goal led to major changes for the2006 race, when the finish line was moved to the north end of the Monroe Street Bridge and a new timing system using transponder chips was implemented. The chips allowed all participants to start on Riverside Avenue and to be recorded based on "net" time from start to finish. During its history, the Lilac Bloomsday Run has added prize money for top runners (1982) and wheelchair racers, and the event consistently attracts the world's top competitors. Bloomsday has been a member of the ARRA and PRRO Circuits of major U.S. running events, and in 1996 Bloomsday hosted the first PRRO World Road Running Championships. Over the years the race has been featured inRunner's World and The Runner magazines, as well as on television on ESPN, Fox Sports Northwest, and the Outdoor Life Network. Bloomsday impacts Spokane area youngsters as much as adults. The "Fit For Bloomsday" program, which was instituted in 1987, encourages fitness amongnearly 6,000 participating elementary students each year. The Lilac Bloomsday Association has also provided 30 airline tickets each fall since 1993 for top high school cross country runners to attend the Footlocker Western Regional Cross Country Championships in California. After nearly four decades, Bloomsday has worked its way into the fabric of life in the Inland Northwest. For most residents, it's impossible to imagine spring in Spokane without Bloomsday.